First off, there is no shame in the good ole' peanut butter and jelly, is there? To save time it works well to make ahead a loaf of bread into PB&Js. 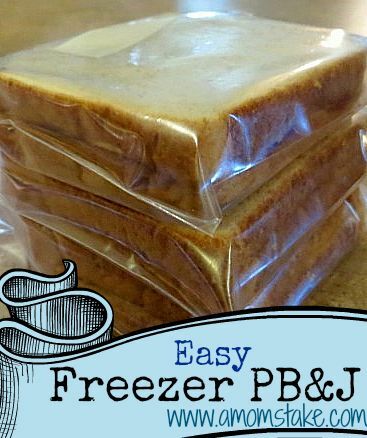 Wrap each sandwich in a zip bag, reuse the bread bag to store those 8-10 pre-made sandwiches, and freeze. 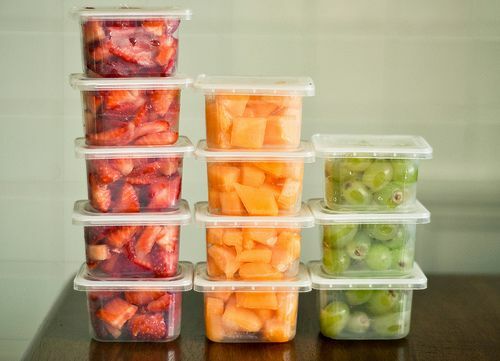 Throw one in the lunchbag on the way out the door, and it will keep the other food cool and be thawed by lunch. Tip: if you first spread a very thin layer of butter on each slice of bread, then follow with peanut butter on each slice, and finish with jelly, it will keep the sandwich from getting soggy. Many of my kids say these are the best PB&Js they have eaten. You will want to have some small storage containers on hand to save money. 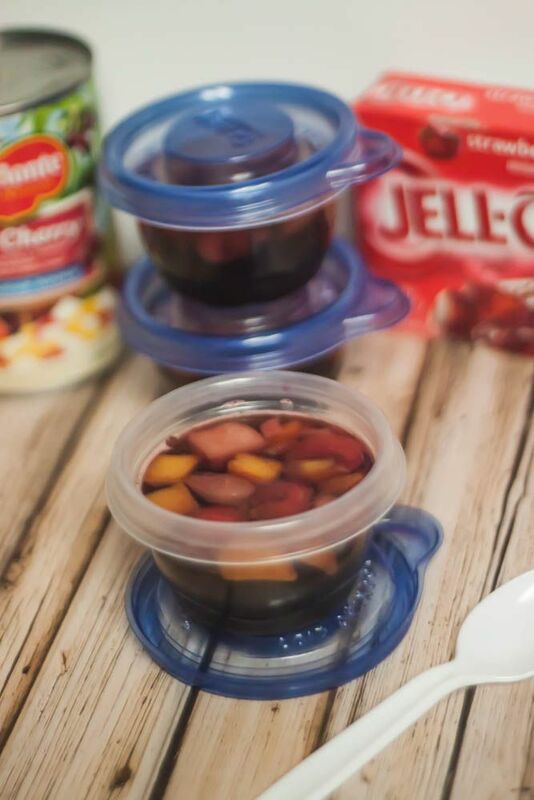 Reusing these cute baby food containers is such a good idea for fruit, veggies, or dressings. But in reality, your son may get ribbed about eating baby food when he pulls it out of his lunch bag. Not that I would know anything about that...but it may not go over well. And he may never let you forget about "that one time". Just sayin'. Much less "embarrassing" are these small plastic, purchased cups. We use these to make homemade Jell-o cups. The going rate for a stack of four store-bought Jell-o cups is $2.00. But for a 72¢ box of Jell-o (or 37¢ for generic) you will get 6 containers of homemade Jell-o cups. Plus there is a little room left at the top for whipped cream, and you can easily add fruit too. Just prepare your Jell-o per directions and pour into the plastic cups. Seal and refrigerate overnight. Ready for the brown bag in the morning. Don't forget a spoon. These work well for applesauce, canned fruit, etc. 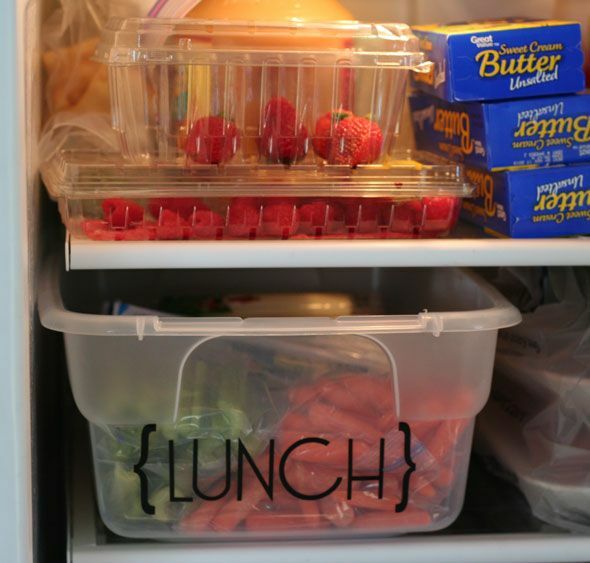 On a very organized week when we have ample groceries, we keep 3 plastic tubs for sides. One is a clear tub shelved in the fridge where a variety of foods are stocked: hard-boiled eggs (which be warned, can make lunch boxes smell), cheese sticks, pre-cut veggies, yogurt sticks, fruit; also any of the above cups we made ahead. We keep two tubs in our pantry--one for sweets and the other for savory. These help ration the lunch supplies. I like to use solid tubs because snacks are not visible to hungry munchers through the day. Also the kids know those are for lunches and pretty much off limits. The link below has some good ideas. Setting lunch up in this way allows kids to assemble their own lunches easily and it works you out of that equation--other than ensuring the food is available. Somedays your kids might need a little extra prayer and encouragement. 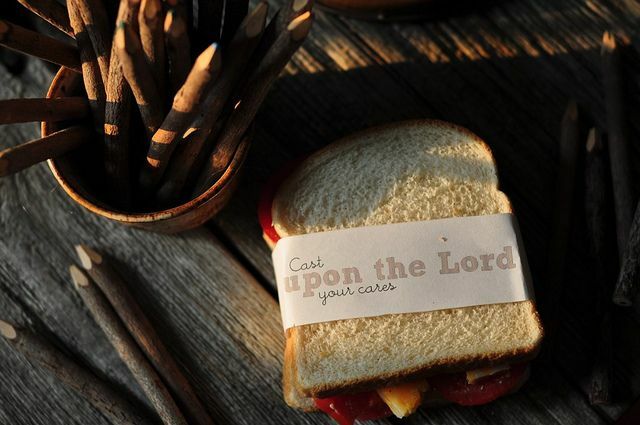 There a lots of fun and encouraging printables out there. I haven't used these, but below is a neat way to remind your kids that the Lord watches over their days, no matter where they school. Hope some of these inspire your organizational flow. If you have tips that help your family out, please do share in the comments!